dovetail joints also add a decorative twist. 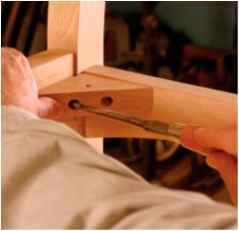 The side stretchers connect to the legs with slip tenons, and the cross stretchers are attached to the side stretchers with half-lapped dovetails. 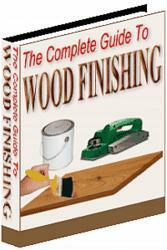 Install the cross stretchers after glue-up. 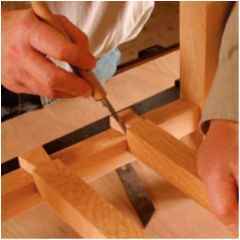 Cut the half-lapped dovetails on the cross stretchers, then scribe them onto the side stretchers. Screw in the corner blocks. The blocks help reinforce the corner joints and serve as anchors for the seat frame. The chair has a leather-upholstered seat, installed after the chair has been fumed and finished. The frame is screwed to the corner blocks between the rails. Elastic webbing stapled to frame direction. Now cut the forward ends of the stretchers at 90°—with the miter gauge at 90° and the blade still at 85.5°—sneaking up on the length until they just fit. Next, cut a 3/s-in.-wide mortise, centered in the end grain of each stretcher and about 3A in. deep. Diy-fit the slip tenons. When the fit is perfect, glue up the chair. 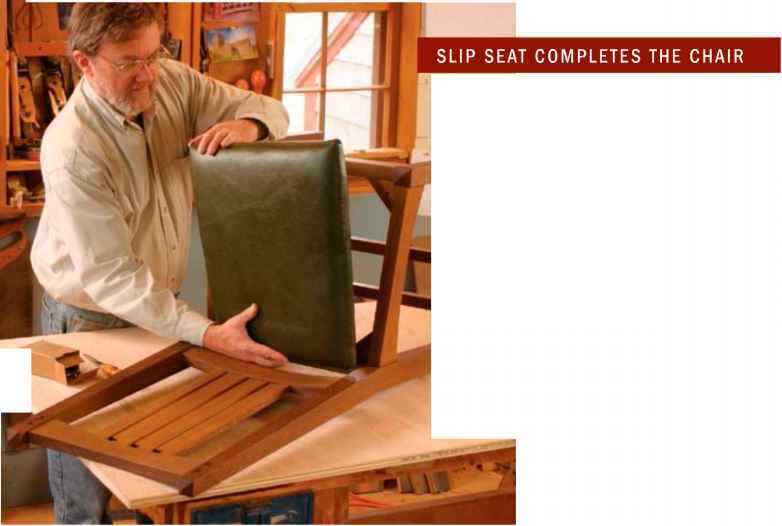 Watch a free video of this chair being built, or purchase the full-size plans. 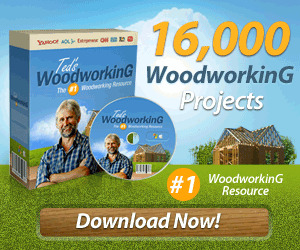 Go to www.finewoodworking.com/buildingfurniture. cross stretcher will meet the side stretchers. Cut each one to length, leaving them about Va in. extralong on both ends. 6/8 in. thick by 2V2 in. wide dovetail slots in the side stretchers using a handsaw and chisels. Once the dovetail sockets have been cleaned out, glue the cross stretchers in place. After the glue has set, sand all the stretchers flush on their upper faces, and go over the chair thoroughly for any residual glue squeeze-out and touch-up sanding. 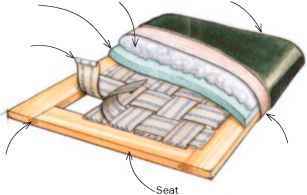 Finally, make up the corner blocks and screw them to the inside corners, flush with the upper edges of the front and rear seat rails. Add an additional screw hole up through the body of the corner blocks before attaching them. This will be used to attach the upholstered slip seat to the chair. The very last item before finishing is installing the pyramid-shaped decorative pegs in the crest rail. I use ebony, but any hardwood species will work. 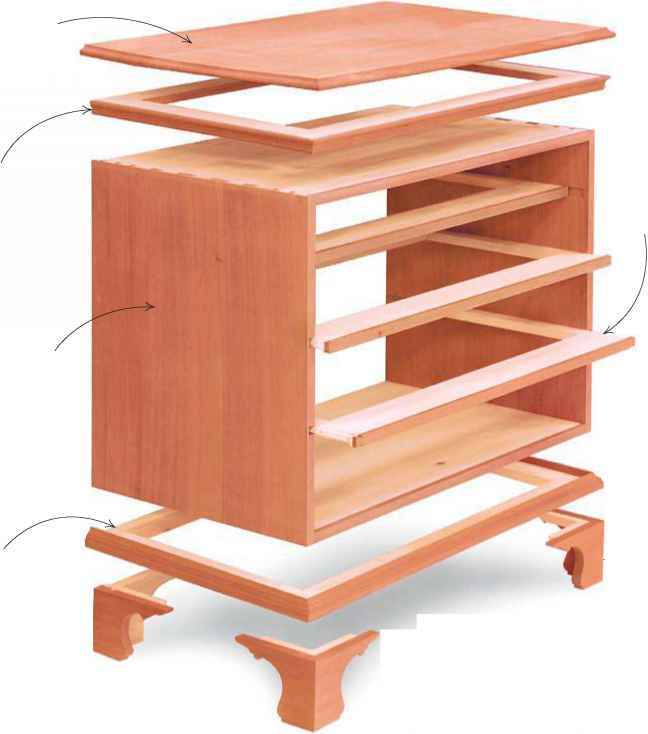 Kevin RodeI is a furniture maker and teacher in Brunswick, Maine.